Zippers just make everything look so much fancier, and they’re convenient as well. 1. Mark where you want the zipper to end. This is where you will put the new zipper stop. 2. Not all zippers will come exactly in the length you want. Thus, you’ll have to sew your own zipper stop at the marked line. On one side of the zipper, insert the needle upwards from the wrong side. Then loop the needle around and insert it downwards on the other side of the zipper. 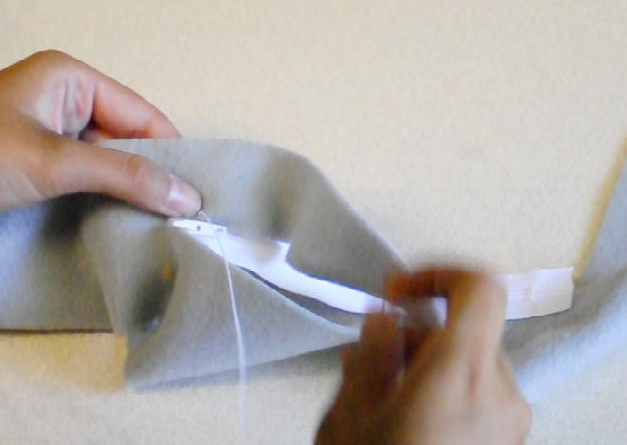 Every time you poke the needle into the zipper, change sides so you are basically looping the thread around the zipper. 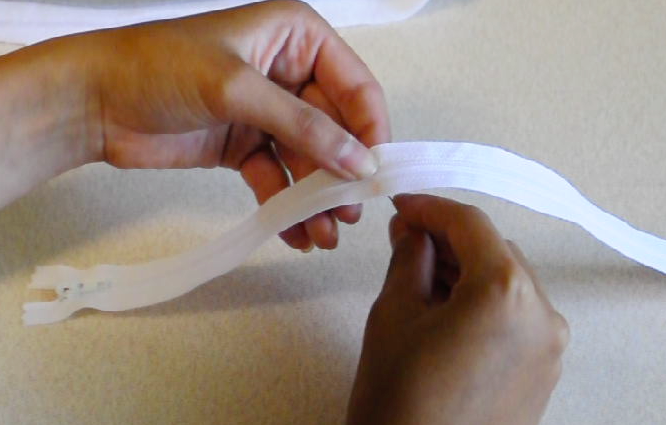 Do this until you have a secure loop of thread that can stop the zipper. I recommend at least seven times. 3. 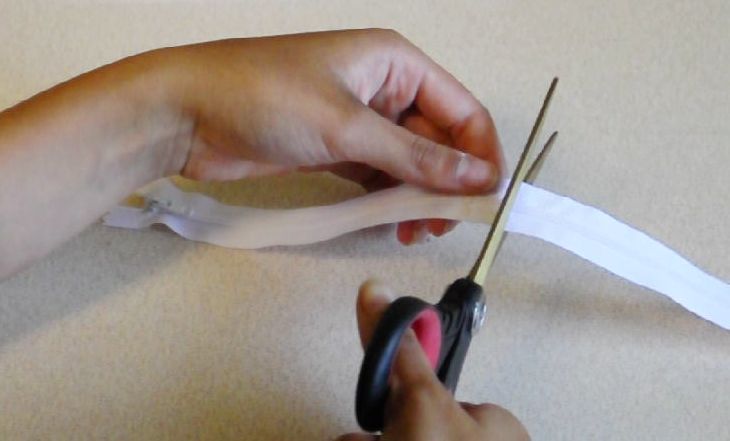 Trim off the excess zipper. Cut about an inch from your zipper stop. 4. Place the zipper on the wrong side of the fabric. 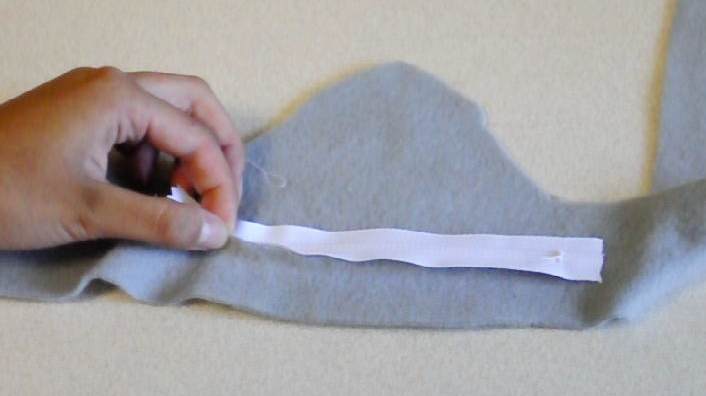 Pinch the edge of the fabric and the edge of the zipper together and fold the fabric down. This allows for a smooth border on the right side of the fabric. 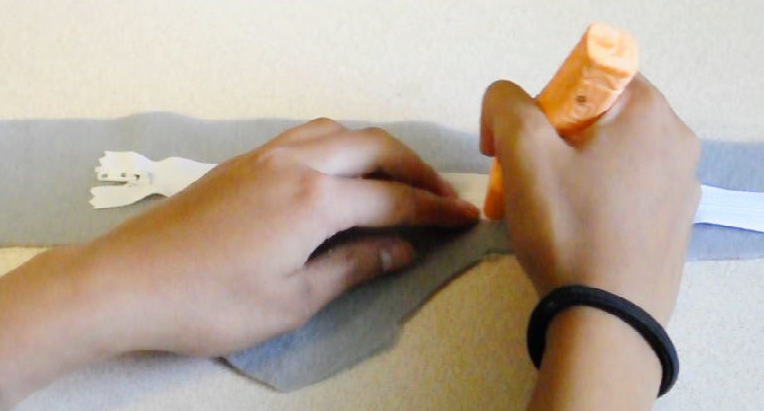 Because it can sometimes be heard to ensure that the fold stays flat, a common trick is to use a thin strip of double-sided wash-away tape. The tape holds together the fabric and zipper as you sew. 5. While making sure that the fabric is folded over, sew down the zipper. Because I didn’t use tape, I continually tuck down the fabric as I sew. 6. Make sure to secure the ends of the zipper. And you’re done! For this how to guide, I used pictures from my Totoro beanie tutorial, which involves installing a zippered pocket. Tip: Zippers can be quite expensive at in-store craft shops, so I get mine from this Amazon vendor. For the price of one in-store zipper, I can get a dozen from ZipperStop.